Well you’re right!! 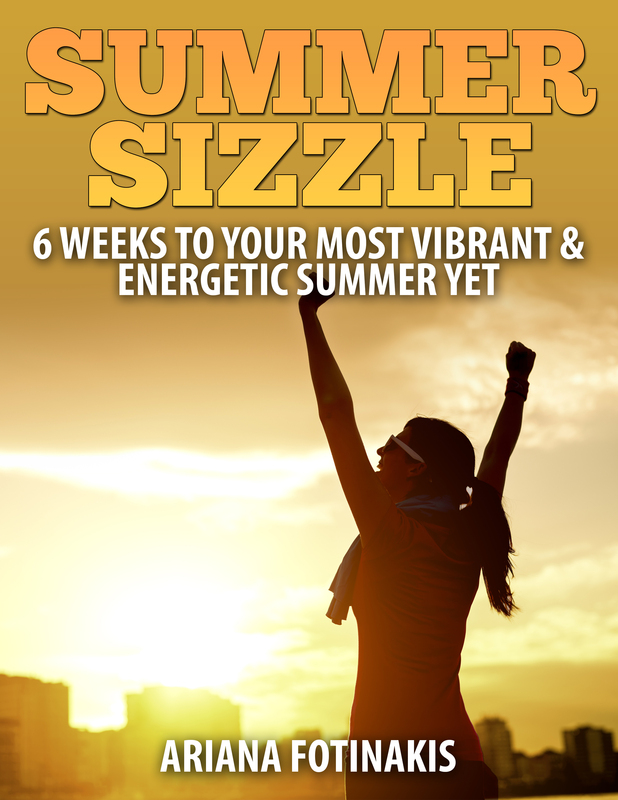 As I was working on Monday’s post I discovered I had passed my final personal training exam!! Yippeee!!! I wrote my exam on November 4 and was told it would take 3-4 weeks for my mark to show up on my Fitness Registry account. Still, every morning, afternoon, and most evenings I logged in and braced myself for a potential score. I guess by yesterday I was used to the disappointment of no exam mark and I didn’t have quite the same anticipation when checking as I had other days. But just as I was about to shove a piece of bacon in my mouth, there it was! That final mark of 115.5 out of 134. I danced around my living room waving my piece of bacon in the air before texting Jordan “I passed my ducking exam i passed my ducking exam i passed my ducking exam!!!! !” I was too excited to even care that Autocorrect didn’t like me using curse words. Coincidentally, I had my final practical evaluation scheduled for Monday evening. I went into it confident but nervous about how confident I was. I had read a message board the night before that said the Personal Training ICE (short for Instructor Competency Evaluation) was the most daunting task of the whole registration process. I dunno about that. Writing the Fitness Theory exam was fairly daunting. Meeting complete strangers from Craig’s List to get my training hours in was pretty daunting. And writing the final Personal Training exam was very daunting. Performing a hamstring flexibility test, some girth measurements, and coaching 3 exercises seemed way too easy. Was I missing something? Nope!! It was as easy as I had expected. I was in and out within 45 minutes, and with that, my registration process was complete. Now all I have to do is sit back and wait a few weeks for my fancy little piece of paper to come in the mail, informing me and the world that I am an official BCRPA Registered Personal Trainer. Yay!!! This whole process has been really rewarding. While I always had a pretty good understanding of the world of fitness and exercise science, I developed a really good grasp on how to COMMUNICATE that knowledge to those around me in normal-human terms. I met a bunch of fantastic people who were always willing to share knowledge, point me in the right direction, and give me their opinion which made me excited to enter an industry full of such friendly people. I also got a glimpse at the not-so-friendly, sales-y side of the industry, which has further solidified my decision of NOT wanting to go down that route. And finally, I am learning to trust myself and my capabilities more and more. I don’t know if the post-exam/evaluation/training session anxiety will ever fully go away, but I’m going into these things much more confident than I did at the start. NOW. On Sunday Jordan and I had already planned out Monday’s dinner so we could do all of our grocery shopping at once. But shepard’s pie reaaallly didn’t seem like the celebratory dinner that I was looking for. So I figured this was a great opportunity to test out a twist on a dish I had tried at Tappo Restobar last week. I scoured the restaurant’s menu as I normally do a few days before dining and noticed they had bacon-wrapped dates on the menu. Yes. Bacon. Wrapped. Dates. 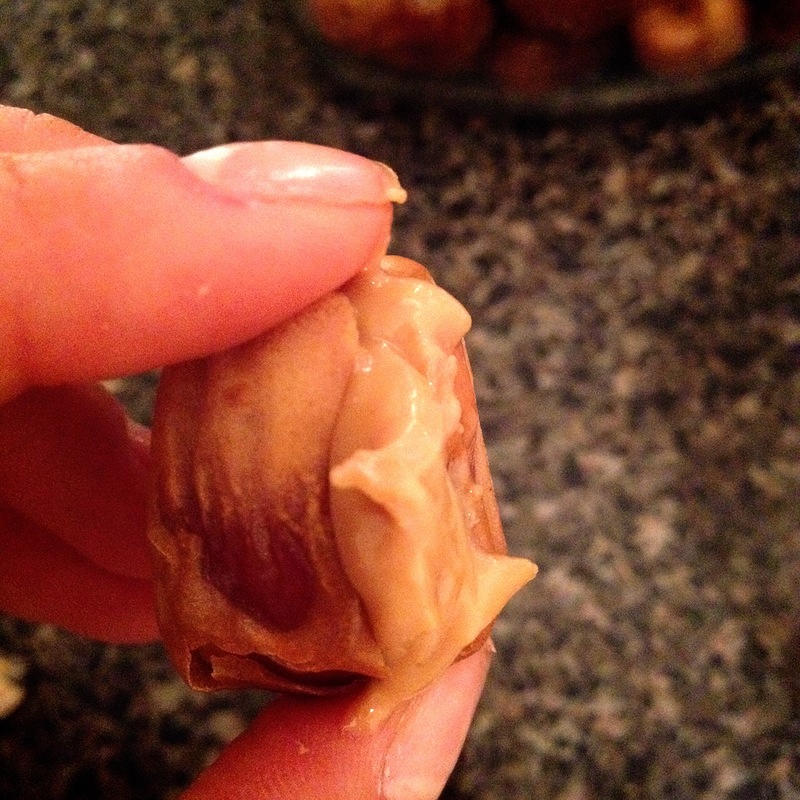 I love bacon and I love dates, so how could I not love those? But when we got to the restaurant they weren’t on the menu!! I was heartbroken, but the Chef was nice enough to make them for us anyway. So that got me thinking. I may or may not have mentioned before that one of my favourite nightly rituals is grabbing a jar of nut butter and dipping stuff in it. “Stuff” could be anything from other nuts, Reese’s pieces, carrots (they go well with peanut butter), and my personal favourite, an almond dipped in peanut butter stuffed inside a date that is then dipped in almond butter. 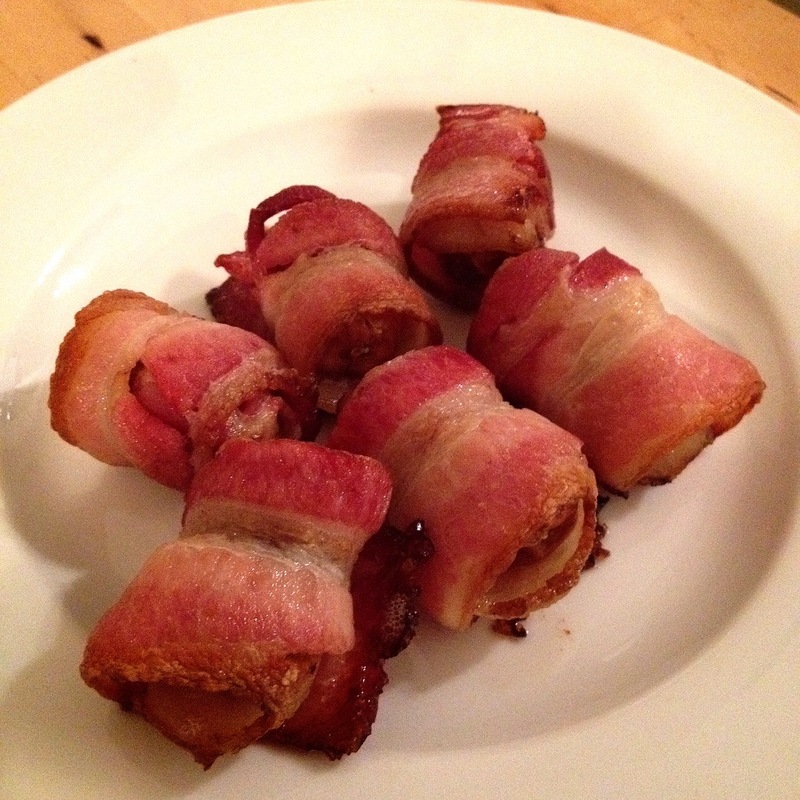 Things stuffed in dates wrapped in bacon. Ohhhhh yes. 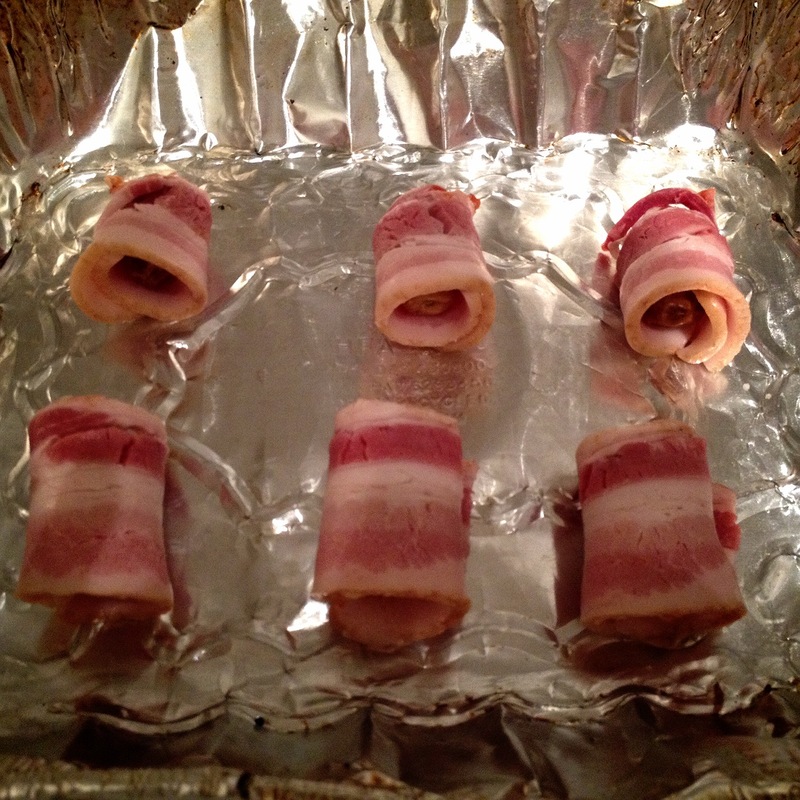 And so, I present to you lovely readers, the birth of peanut butter-stuffed bacon-wrapped dates. These were simply amazing and I wished I had made more than 6 to share between the two of us, but my bacon is expensive and I had already had two pieces at breakfast so I thought I should try to ration the bacon love a bit. I had read about microwaving the bacon first before wrapping because A) cooked bacon is easier to handle and B) it made for a crispier finish. But I saw two things wrong with this. A) Microwaving bacon is sacrilegious, and B) I don’t own a microwave. So I took my chances with using the bacon raw and the finished product still had the perfect amount of crispness. I used some dried brown dates that I buy from a local dried fruit and nut vendor. Unfortunately I’m not exactly sure what kind they are, but I know they’re not medjool dates! I don’t think the type of date really matters, as most of them are sweet enough. Just be sure to remove the pit if it hasn’t already been removed! I used a pairing knife to cut an opening in the date, ensuring not to cut all the way through. This is where the fun comes in! Technically you could stuff these bad boys with anything you like. If you’re hosting a dinner party and would like more of a grown-up hors d’oeuvres you could stuff them with blue cheese, or maybe an apricot or red pepper jelly. However I don’t host dinner parties and I don’t consider myself a grown-up so PB FOR THE WIN! Once you have your date stuffed with goodness, close it back up and wrap it in half a strip of bacon. Roll that sucker up, fasten it with a tooth pick (which I thought I didn’t have any of until I dumped a cup of water in a drawer and had to remove all the contents, which then unveiled a large package of skewers. After I had already wrapped and baked my bites of bacon deliciousness). This entry was posted in Diet, Food, Personal Training and tagged diet, fitness, food, healthy-living, if it fits your macros, iifym, nutrition, paleo, personal training, recipe. Bookmark the permalink. Oh my goodness these look SO DELICIOUS. Thanks for sharing!